In an interview with NPR, he discussed his findings on poverty and inequality and how they often play out on campus. “We have been teaching students from more privileged backgrounds for so long, that we take a lot for granted on a college campus. 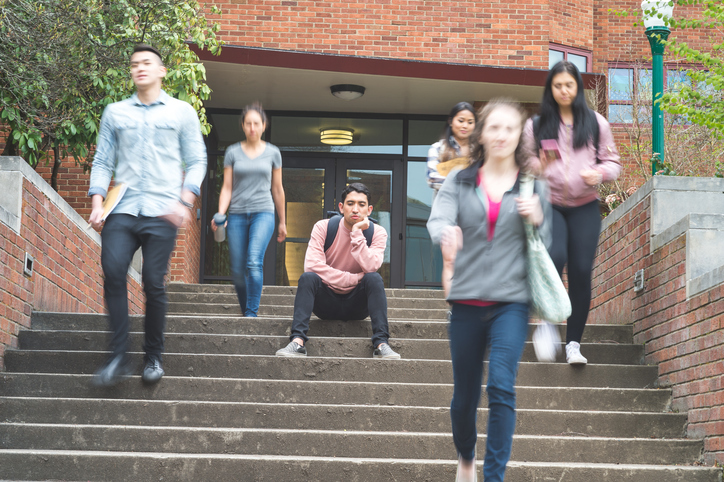 Mental health offices, career service offices, they are so used to students being more proactive and entering their doors because they’ve been taught that if you want something, you go out and get it,” Jack said. Though his book focuses on selective institutions, Jack said his findings can be applied to the majority of colleges and universities. “If I’m able to show that food insecurity exists at schools like Yale, Harvard, Penn and Princeton, how then do you think it manifests itself at the University of Wisconsin or at Texas Tech, or at the regional college? Yes, I study the elites. But more importantly, I study how poverty and inequality shape how students make it to higher education, and how they move through it,” he said in the interview. Jack hopes his research will help policymakers and higher education leaders challenge their beliefs and rethink existing policies. Read or listen to an interview with Jack on his findings.